So this is my first post about Seoul fashion! I wanted to choose a specific scenario to give examples of looks that are both popular right now and that I would personally wear. These two outfits, for example, are very similar to those I've worn on picnic dates in Han River Park! ^^ Those are always such a good time! So far my favorite spots are Banpo near the fountain bridge, Yeoido, and Hapjeong/Seonyudo. What about you, Seoulites? Let's talk about some elements of the outfits! Cute floral sundresses are great for summer dates! Throw a lightweight cardi over it to both hide your shoulders (this is Korea after all) and protect you from chilly temps at night. Shoes: would you believe Birkenstock sandals are in again this summer? Kk I'm always surprised to see this 90's fashion staple everywhere, especially in trendy areas like Gangnam and Hongdae. Also, cute sneakers are always on point for summer. The Superstars had a huge comeback in the spring! Pink accessories, because I love pink! Some lovely pink will always brighten a neutral outfit. 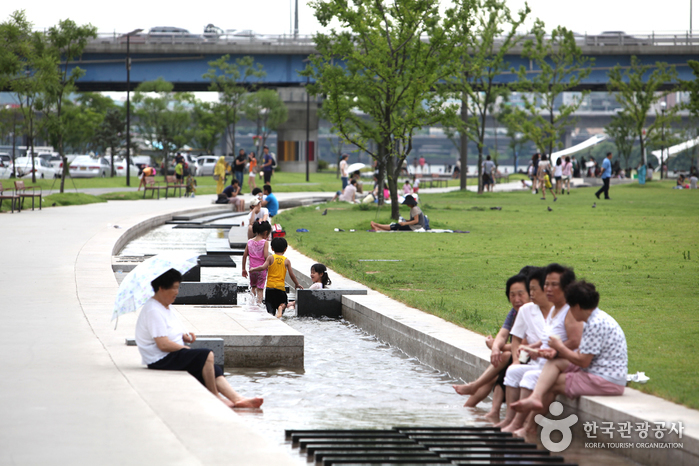 Also take a look at Yeoido! 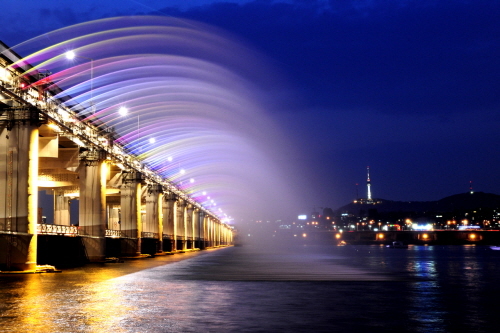 Image copyright VisitKorea. Our first picnic date was almost a year ago in August at Tteuksom! It was hot, so we cooled down after in a shady little indie cafe nearby. I wish you all joy on your lovely picnic dates!